My Thoughts: By now most of us know this book is a retelling of the favorite childhood fairy tale -Cinderella. But this is book is similar enough to remind you of Cinderella but different enough to have a flavor of its very own. Aisling or Ash has to live with her step-mother and 2 daughters after her parents death. Ash has grown up in a world where people are afraid of magic and the disbelief is beginning to take hold. People no longer believe in magic and curses and fairies. But there are some who do. Ash’s mother was one of them. 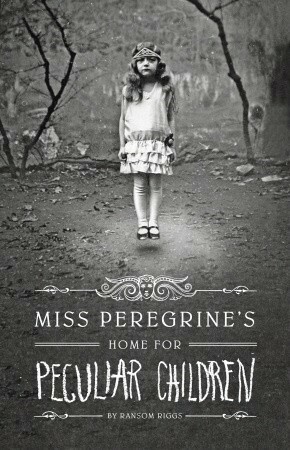 After her parents death, to get away from her everyday deary life, Ash finds refuge in the jungle close to her house. And then she meets Kaisa. Kaisa is the King’s head huntress. Gradually there forms a bond between Ash and Kaisa. What I loved most about the novel is how the author describes their attraction effortlessly. There is no talk about how Ash is attracted to a women. It seems natural which is just as it should be. I didn’t like Ash as a character but I understood her most of the times. I was more enamored by Kaisa. She seemed like such an intriguing person. Also, loved the fairy tales in the novel. I had lots of fun reading them. One thing I would like to admit here is that I did not feel a lot of romance between Ash and Kaisa. I was wondering if it was the writing or if the situations themselves weren’t romantic enough when suddenly I had a weird thought. I tried substituting Kaisa with a man in my head and tried to re-imagine the situations. I have to say the romance was nicely and beautifully built. It probably happened because I am not a lesbian and I found it difficult to get into the romance, which again takes me to another point. If I as a non-lesbian can find it difficult to get into lesbian romance, it would be difficult for GLBT people to get into a man-woman romance as well. Isn’t it just unfair that we have such small number of GLBT books and even lesser awareness about them? I was always with GLBT literature but now I feel very strongly about it. I hope we have more books like Ash. 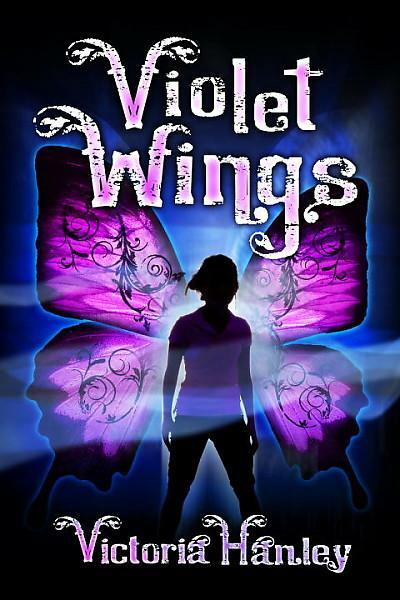 I love reading about fairies and the synopsis of Violet Wings sounded really good. Not to mention I love the cover too. But I have to say I was disappointed. The main problem I have with Violet Wings starts right from the first chapter. When I think about fairies, I think magical. I visualize a world that is very different from the world we live in. It has to be non-mechanical to say the least. But the world in this book is far from that. All fairies are assigned a specific number of radia (magical units) and they are allowed to spend only a limited number in their lifetime. The place where these fairies and our girl, Zaria, lives is called Tirfeyne. Another problem is that Tirfeyne is made of huge buildings made of rubies and gems and diamonds. That itself had me loose interest. Zaria is 14 year old fairy whose parents and brother go missing when she was is very young. A family friend is taking care of her. She wants to know what happened to them but there is no way of knowing. When she turns 14, she and her class are given their wands and their watches. The watches tell how much radia has been assigned to each fairy or genie. Zaria has one of the highest colors-violet. Each color in a crystal watch contains ten degrees and represents more radia than the preceding color by a factor of ten. That said, the story had a lot of potential, the writing was smooth flowing. Although I would not wholeheartedly recommend this book I would say it’s a descent read. And someone who does not have the same problems as I do with this book might even love it. Strictly for Young Adult lovers. Selkie Girl is a story set in Shapinsay Island which is one of the Orkney Islands off the north coast of mainland Scotland. This story is inspired by Selkie legends where a Selkie is a creature that is half human and half Seal. Elin Jean has always felt like an outcast in her village. She has fingers which are connected by thin webs that make her the object of ridicule in the village. She spends most of her time in isolation seeking solace from the Ocean. She lives with her parents and her grandfather. But no one has ever been open to her about why she is so different from the others. She would come to know in time, yes, but it will change her life, turn it upside down and will lead her on a journey into the unknown. She will have to find a purpose and a place to belong. Selkie Girl is a magical book. The setting is beautiful and mythical. 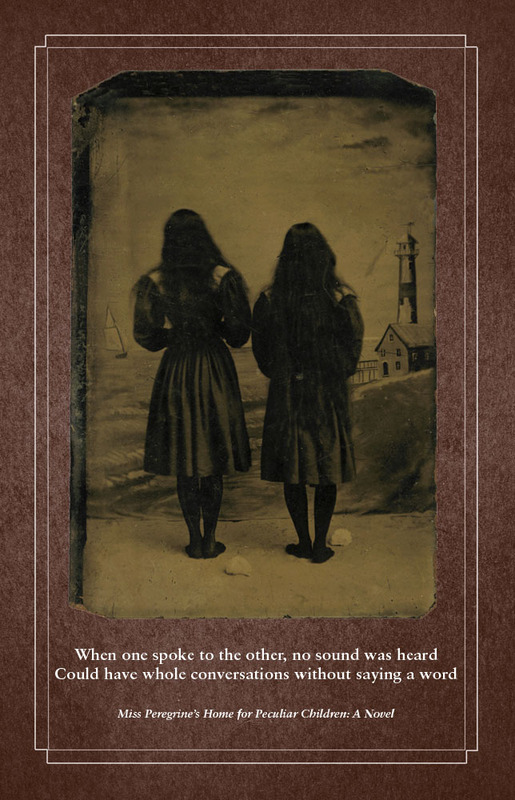 Laurie Brooks writing creates an imagery so vivid that you can feel and imagine the vastness of the ocean, the horror of the seals fate, the beauty of the land and Elin Jean’s struggle to belong either on land or in the sea. The author has taken the Selkie legend and turned it into something else. Here is a roaring power to be reckoned with, this channel where the North Sea meets the mighty Atlantic. At odds with each other, the two bodies collide, churning into waves that can rise to forty feet. As change-able as the weather that reigns over it, the channel rests, mild as a newborn lamb, until the wind shifts it into raging tides that can catch the most experienced sailor unawares. And in a storm, the waves stretch as tall as mountains, white peaks battling for domain over the waterway. Even the thought of these storms humbles the others. What the sea gives up, it must take away, they say. And the truth of those words is born of bitter experience. Each year families lose fishermen to the sea, gobbles up in the wild storms, bodies lost forever beneath the tides. And although the writing is beautiful, it can be a bit too wordy at times. Grandpa blows rings of smoke, one inside the next. 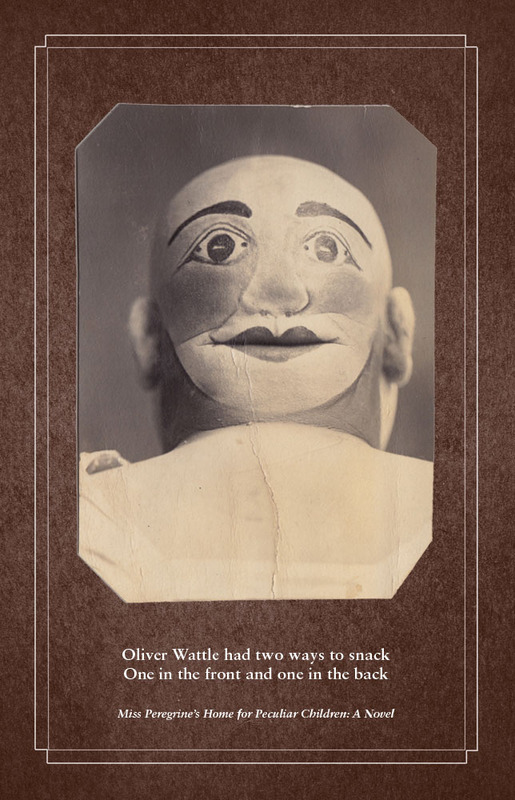 He sends the ovals toward the ceiling, and they follow willingly until they collide with the lingering haze from the cooking fire above and their perfect circles distort and disappear. The first half was a bit slow for me but I raced through the second half not wanting to finish the book but also wanting to know what happens. Again a Young Adult book that can easily be a crossover. Having said the above, I believe I have reasons for loving this book more than I expect others to. I LOVE the ocean and that’s probably why I could understand the endless pages describing Elin Jean’s pull to the ocean, her reasons being different than mine though. I love books set in lush, green surroundings, if it’s an island it’s a plus, if the island is in Scotland or Ireland, even better. And finally, I love books based on legends, myths or fairy tales. All I want to say is that these are also some of the factors that have lead me to like this book. That’s all. P.S: I kind of hate the cover. I always wanted to read a fairy tale for adults. So I picked up Dragon’s keep with an eagerness you wont find me picking other books with. And I’ll tell you right away what a lovely fairy tale it is. Well, okay, it is for young adults though. I just wanted to clear that. Dragon’s keep has everything a fairy tale should have. A princess, an island with a castle, a curse, a witch, a villain and dragons. Oh and yes, a handsome warrior too. 600 years ago Evaine, the younger sister of King Arther from England marries someone below her status and is banished from England forever. She comes to Wilde Island for refuge. According to Merlin’s prophecy, the 21st princess of the Wilde Island will restore the name of the Pendragon and end the war between humans and dragons with the wave of a hand. But ending the war is difficult when the princess is a 14 year old girl and the dragon’s occasionally feeds on the people from the Island. The King trains many people over the years to fight the dragon. But these trained knights are no match to a huge flying dragon who spits fire. Also Princess Rosalind has a secret. She has a dragon claw. Her overprotective mother hides Rosalind’s hands from the world by forcing her to wear golden gloves. Her mother does not want people to know that Rosalind has a claw that resembles the claws of their most dreaded enemy, the dragon. She has her mind set on getting Rosalind married to Price Henry of England and so finding a cure for the dragon claw is always the top priority. One day a convoy from the Queen of England comes to the Wilde Island to judge Princess Rosalind as a future match for Prince Henry. oops…..I am going to spoil the story a bit here. Or maybe I won’t. Let me skip the spoiler, however minor it is. After a certain turn of events, Princess Rosalind is abducted by the dragon and taken to his cave, the dragon’s keep. Here the princess cannot escape from the dragon’s clutches even if she could. Her entire life changes in the matter of a single moment. The time she spends with the dragon’s eventually helps her in ending the war between the dragon’s and the humans, literally with the wave of her hand. Janet Lee Carey’s writing is beautiful and even poetic at times. The first half although interesting is a little slow, but the second half is amazing. Dragons keep is a fairy tale with a fitting dramatic and happily ever after ending. Read this book if you like fairy tales, adventure, fantasy and a good story. It’s time for fairy tales people. I have always loved them. 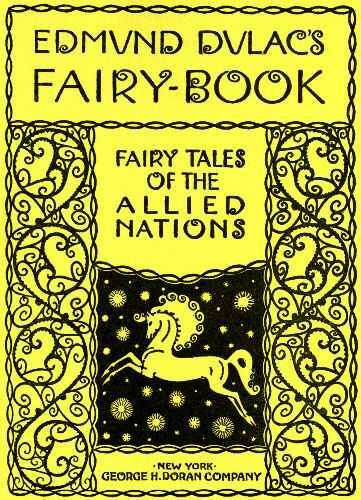 ‘Edmund Dulac’s Fairy-Book-Fairy Tales of the Allied Nations’ has fairy tales from across the globe. I can’t tell you how much I loved this book. Every story is beautiful and simple. I had neither read nor heard of any of the stories before. It has 15 stories in all but I will try and summarize a few of them without spoilers. Marusha and Youshko are a very old couple who do not have any children and long for one. But they have resigned to their fate and accepted that they will never have a child. One fine snowy day, when they see all the neighboring children playing in the snow and making a big fat snowman, they go out and decide to have a little fun making a snowman as well. They find a secluded spot behind a tree and make a snowman just the size of a baby. Suddenly to their delight, the snowman turns into a beautiful girl. They decide to call her Snegorotchka as she was made from snow. She starts living with them as their own daughter. A small and heartwarming story with a sad end. In my old Granny’s days, long, long–oh, so long ago, Carland was just a collection of bogs. Pools of black water lay in the hollows, and little green rivulets scurried away here and there like long lizards trying to escape from their tails, while every tuft that you trod upon would squirt up at you like anything. Oh! it was a nice place to be in on a dark night, I give you my word. Now, I’ve heard my Granny say that a long time before her day the Moon got trapped and buried in the bog. I’ll tell you the tale as she used to tell it to me. The people living in the area blessed the moon and held it in high regard as the moon showed them their way through the dreadful bogs at night. If not for the moon, they would never find their way out and would be lured by the sinister things at night into the bogs and to death. On days where there is no moon, the villagers have a very difficult time. So one day, er night, the moon decides to descend down to the bogs and see for herself the problem the villagers faced. She covers herself with a dark cloak and walks into the bogs. 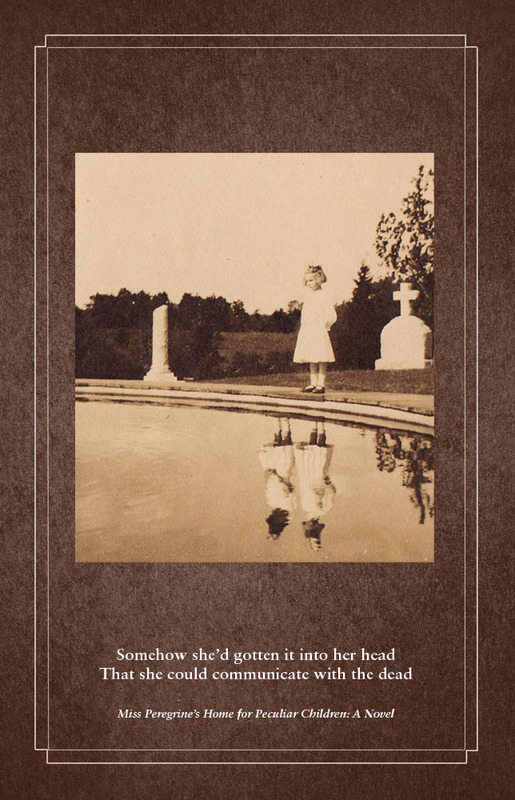 Suddenly she starts sinking and how much ever she stuggles she is not able to get out. The sinister forces of the bogs-the witch and her accomplices decide to finish off the moon as she is the one who does not allow them to come out on nights when she is shining brightly in the sky. I loved this story. I couldn’t wait to see what happens next. This is a beautiful lyrical story. White, white, child o’ mine! Are no child o’ mine! Black, black, child o’ mine! Want, O child o’ mine! A woman has 2 daughters, both names Caroline. One was called white Caroline, because she was very white and very pretty and everyone loved her. But she was not the woman’s own daughter. The other one, was called the black Caroline because she was very ugly and everybody ran away from her. This enraged the woman very much and she devised various plans to kill white Caroline. But every time Black Caroline warned her and she was safe. Black Caroline falls sick and White Caroline runs away from the house. This is another very cute story. The boy sets out to find the queen. He sees a man beneath a huge cross. The man draws his bow and arrow and hits the eye of a fly perched on the cross. The boy is so impressed that he asks the man to come along with. The man asks for something in return. The boy says you can have anything you want once I marry the queen. Similarly he asks 6 other men to accompany him to the queen’s castle. A story with all the elements of a fairy tale, a man who can eat the whole earth, another one who can swallow an entire river and so on. I cannot pick one story out of the lot because I loved them all. This would be a great read on a cold wintry night snuggled in a warm blanket or on a gloomy rainy day or just any other time. It would be a great gift for children and adults alike. 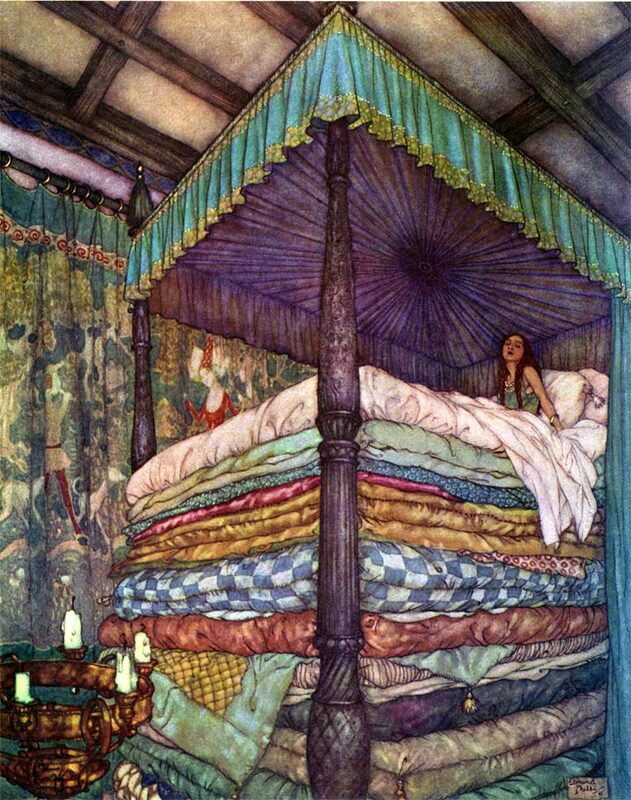 I have used one of the images from Edmund Dulac’s site. There are other beautiful illustrations there. Do have a look. Finally. Here is the review of Immortals: The crossing. I finished this book more than a week ago. I won this book through Vivi Anna’s site and Joy Nash sent me autographed copy. 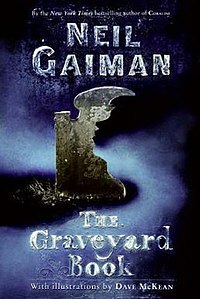 This is my first book from the Immortal series. I was a little apprehensive about reading it as I wasn’t sure I would be able to enjoy the book not having read the previous ones. But I did enjoy it. There were places where I felt it would have been better if I had read the previous books, but it wasn’t absolutely necessary. I could follow the story line and understand what was implied well enough. Okay here is the story in short. Mac is a Semi God. I was not really sure what that meant, but it implied that he was immortal. He is a charismatic musician with hordes of girls stalking him. He is also the protector of the fairies in the magic world. When one of the fairy villages is attacked and an infant’s life is in danger, he is called to intervene. He discovers that the village is attacked by an American Witch who has powers of her own. She is out to rescue something that is very dear to her. Of course she doesn’t tell Mac about it. Mac tries to stop Artemis (the witch) from destroying or attacking anyone else by placing her under a house arrest. But she escapes and he follows her, literally, through hell. In the end, they win. Obviously. What I liked about the book was the pace. There wasn’t a single dull moment in the book. The main characters Mac and Artemis were well crafted. I especially liked Artemis. She was not weak and did not need anyone’s protection. She was capable of finding her own way. Although Mac helped her, he was not exactly her knight in shining armor. She was determined and strong. The description of hells’ levels was comic and chilling at the same time. I had one question though. Considering Mac’s mother was god (I think), why is she said to be devoid of any emotions? Did not make much sense to me but may be it has something to do with the previous books in the series. No complaints though. 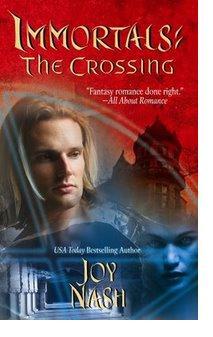 People who love romantic and paranormal books, this one is a treat. I am looking forward to reading Joy Nash’s next.